Da Ra Bendre’s life was not an easy one. Born in Dharwad into a family of Vedic Marathi-speaking Brahmins, he lost his father at an early age and grew up in poverty (albeit under the loving guardianship of his mother and maternal grandmother). Married at the age of 23 to Lakshmibai (nee Rangubai), he and his wife were to experience the death of six of their nine children (five in infancy, and one tragically when he was 20). This poem – about the death of an infant daughter, Lalitha – details the mute grief of his wife and the poet’s despairing response. Contrary to the popular narrative, this song was not one that sprung spontaneously from the poet’s lips upon seeing his wife. Rather, it came to him as a “sight” as he travelled in the railway carriage that was taking him home to his wife and infant daughter. In other words, it was the (wrenching) vision of a future that was very near. As far as Hindu poetics is concerned, it is the stream of the rasa of grief (ಶೋಕ ರಸ) that flows here. I have had my father tell me that this lament (as sung by Rajkumar Bharathi) never fails to bring a lump to his throat. However, since Mr. Bharathi’s version contains only the last three stanzas of the poem, I have ventured to sing the whole poem in the same tune as the original. I hope the result is palatable. Still I can say, though I don’t know where, that on the other side’s a shore. His will I cannot change; so why look and look at me again? Where did their colour go? By which ill-wind were they stripped? Hand itself had stroked your face; a nameless fear enters my breath. And still you clutch at them; though now they glow like ashen cinder. Did you believe the sky would never fall; that I myself was god? Tell me – are these eyes I see now yours in truth? As though a gust of wind can stop a raincloud set to scatter? Blink and let the tears flow; don’t block your sobs with bitten lips. Poem Details: From the collection “ನಾದಲೀಲೆ,” first published in 1938. ಮಾಧವ್, ನನ್ನ ನೆನಪಿದೆಯಾ? 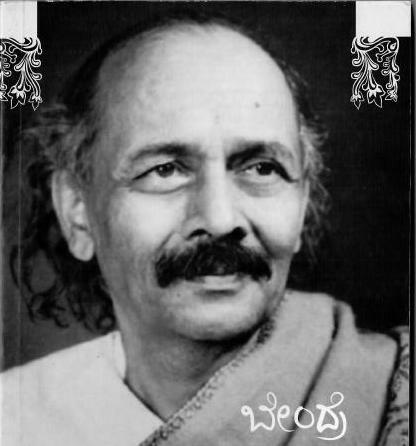 ಜಯಶ್ರೀ ಮೇಡಂ. ಕನ್ನಡ ಸಾಹಿತ್ಯವನ್ನು ಈ ರೀತಿ ಬೆಳಕಿಗೆ ತಂದು, ಪ್ರಚಾರ ಮಾಡುತ್ತಿರುವುದು ಒಂದು ಹೊಸ ಪ್ರಯತ್ನ. ಮೂಲ ಸಾಹಿತ್ಯಕ್ಕೆ ಧಕ್ಕೆ ಬರದಂತೆ ಬಹಳ ಚೆನ್ನಾಗಿದೆ. ನಿನ್ನ ಬರವಣಿಗೆಯಿಂದ ಇನ್ನು ಹೆಚ್ಚಿನ ಕೃತಿಗಳ ಇಂಗ್ಲಿಷ್ ರೂಪಾಂತರ ಬರಲಿ. Splendid attempt dear Madhav👍 I feel proud of you 🤗God bless you child!